Cabinet to review RM50 minimum wage hike | Daily Express Online, Sabah, Malaysia. 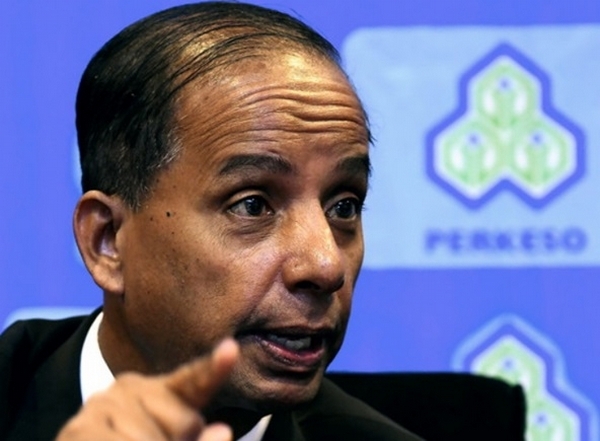 Kuala Lumpur: The minimum wage hike of RM50 will be brought to the cabinet again for review after many quarters had expressed disappointment with the amount, said Human Resources Minister M. Kulasegaran.Kulasegaran said this today after the Malaysian Trades Union Congress (MTUC), Parti Sosialis Malaysia (PSM) and 17 unions and other NGO's called "Bantah 1050" comprising 200 people came to parliament to hand over a memorandum to the minister as a sign of protest against the minimum wage of RM1,050 introduced by the Pakatan Harapan government. "I will bring this up to the cabinet and we will review it for the cabinet to make a decision," he said after accepting the memorandum from MTUC Secretary-General J. Solomon. The protestors had camped outside parliament grounds waiting for the minister to meet them and Kulasegaran eventually invited some representatives including Solomon in for a discussion. After the meeting, Solomon said they would be waiting for a final decision on the minimum wage from the government. "If it is still not settled, then we will come back again, with ten times more people," he said to the crowd of protesters, who cheered him on. Last month, the government announced an RM50 increase for the minimum wage in the peninsula, raising it to RM1,050 which workers slammed as a measly token that fell far short of the RM1,500 promised in the Pakatan Harapan election manifesto. The new minimum wage also applies to Sabah and Sarawak, which was RM920 previously, to standardise the wage nationwide. The minimum wage was first set in 2013 at RM900 for the peninsula and RM800 for Sabah Sarawak and last raised in 2016 before this round. Kulasegaran said that the huge national debt and the economic situation of the country today are the reasons for the low wage hike.